Premier offers the service of Shuttle to La Herradura in cars of high range with private driver. We pick you up from anywhere in Malaga at the time you tell us. Our driver will be waiting for you at the pick up point. We assure you a prompt, comfortable and safe shuttle service. You can book a shuttle to La Herradura online through our website or by telephone. Premier offers services of shuttle La Herradura in vehicles of high range with private driver. We collect you in any place of the province of Malaga, when you want. Our driver will be waiting for you punctually in the point of pick up. We guarantee a comfortable, rapid and sure transfer. You can book a shuttle service La Herradura, in the telephones 952 10 54 51- 696 98 66 86, or in the section Contact to ask for information or to clarity possible doubts. We provide the service in the day and hour indicated. We are punctual and try to satisfy all the needs of our clients. We have years of experience giving professional services of transport in vehicles of luxury with driver in La Herrradura. We provide the service in the day and hour indicated. We are punctual and try to satisfy all the needs of our clients. We have years of experience giving professional services of transport in vehicles of luxury with driver deprived in The Horse-shoe. As soon as the client tells us what he wishes of Premier, we elaborate a budget and expect for the approval. Nevertheless, before accepting it , you can ask us all you wishes on the aspects and doubts in order that the contracting of the service of shuttle La Herradura goes out to the perfection. When we know all the details that the customer wants that we attend in the service of Shuttle to La Herradura, we develop an action plan to be able to satisfy your needs. We anticipate before that, for general norm, our services are characterized for a high value and it is what does that the customer trust in Premier for services of transport with private driver. 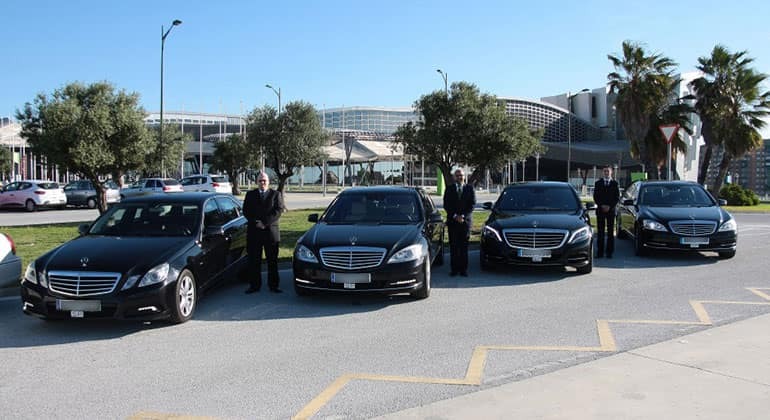 One of the offers that Premier offers is that all those persons who land in Malaga airport and that wish a service of private transport to take them to any place of the province, can contact us. We are a company with an extensive experience in the sector of the transport of passengers. From 1993 we offer the alternative of shuttle service La Herradura, so to book contact with the personnel of attention of the client and they will help you with your needs and the vehicle model. 4.6 of 5 based on 1313 votes.